Home > Customer Service > Why Your CRM Needs A Multichannel Communication? Why Your CRM Needs A Multichannel Communication? Remember the days when people had to drive through a long distance in order to buy a product? Isn’t it difficult to fathom a world where you couldn’t get everything at the click of a button? Indeed, it is. 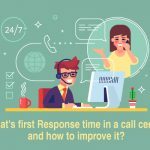 With the advent of new technologies by the second; the times when your customers could only connect with you on a call are long gone. If there’s one industry where less isn’t more, it is the customer service industry. Regardless of where your customers go, be it sitting with their laptop, waiting at the airport or relaxing on a beach, they should be able to reach you. The more conversations you have with your customers, the better relationship you can build with them and gain their loyal vote. Hence, in order to make a dent in the market while offering exemplary customer satisfaction, multi channel support is your best bet. Though most customers might still prefer the traditional methods of emails and phone calls, however, such is not the case with youngsters. Platforms like SMS, social media, live chat and self-service have seen a significant rise, thanks to the millennial generation. A strong reason for this rise could be the efficiency and quick response time associated with these channels. To adapt to this reality, businesses are continuously striving to make it as easy as possible for customers to buy something from them. This all starts with your customer relationship management (CRM) solution. 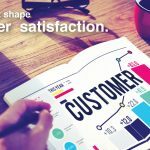 With smart algorithms and limitless data, not only does it have the capability to analyse your customers’ buying habits and preference; it also acts as one of the most ideal customer service tools to ensure great customer service. What does Multichannel Marketing include? 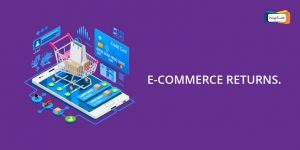 Multichannel marketing refers to the practice of communicating with customers using a combination of indirect and direct communication channels- website, emails, mobile, social media, retail stores, etc. In addition to this, enabling customers to take action regarding any product or service they wish to buy from you using the channel of their choice. The main aim of a multichannel customer service is to provide customers with multiple options for how they would like to communicate with a brand in case they have a complaint to make or a feedback to give. Implementing a unified customer knowledge base provides a sole version of the truth over every channel making sure that answers are the same no matter which channel the customer chooses to get in touch with you. 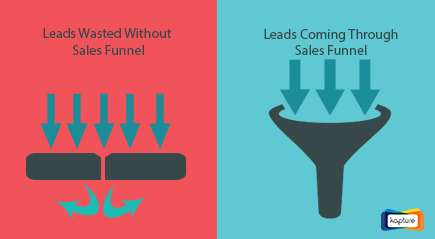 Why you need a CRM with multichannel communication? 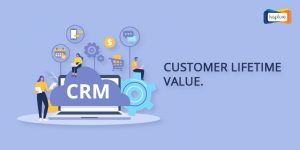 A good customer service CRM, in today’s date needs to give a whole view of everything your customer needs along with the knowledge of their shopping preferences. This will be possible only when your CRM has the ability to gather this information from different platforms. Let us check out some benefits of a multichannel communication enabled CRM. Acquiring a holistic view of the customer. Evolving from a mere name and a phone number, customers today are a detailed profile. 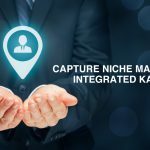 When you give your customers the independence to connect with you on multiple channels, you are collecting more data to build that customer profile. Whether they prefer using live chat, the kind of social media posts they show interest in, or are more active over calls or emails. These are certain questions that you need in order to define that customer. A CRM is helpful in this regard. It helps you gather any and all interactions a customer has had with your company in one database. In short, the more you know about your customers, the easier it becomes to determine their needs and wants. Failure to provide customers with optimum resources is the biggest drawback any company could have. This is also the most common complain that customers have with an organization. 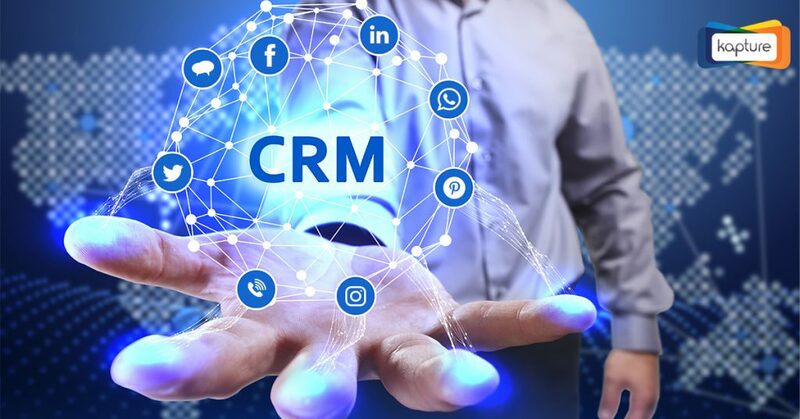 Be it long hold times on the call, or not being able to reach someone at all, businesses that take advantage of multichannel CRMs are making a segue way for the customers to reach their reps effortlessly and in different ways. According to a survey, 66% of consumers who switched brands did so because of poor service. Having the power to talk to an agent directly or via chat will increase the likelihood of the consumer having a positive experience, ultimately closing the sale. With good service and ease of access, customers will be able to rely on you for long enabling you to build a loyal customer base. 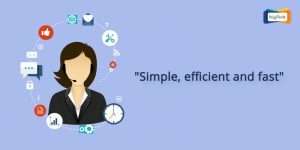 Be it acknowledging a customer’s request until a detailed action is taken, or providing the solution on the spot, real-time responses are always the best way to go. As a general rule; social media, SMS and chat responses should be provided within an hour, email should be addressed in a span of 24 hours and a callback option can be provided in case no agent is available for taking phone calls. These tasks become smooth, when you have a CRM at your disposal. 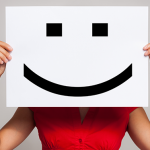 A research says that 86% of customers will pay more for a better customer experience. For instance, if a user tweets one negative review it will be out there in the public eye in case your system lacks the ability to view it or respond to the same. This could result in the removal of that particular customer from your brand. 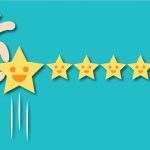 When different verticals of your organization are handling different domains of customer service, it results in inconsistency. If your call center is handling client calls, the marketing division is monitoring your social media accounts, and a separate division is running your live chat process, there is a huge chance of irrelevant customer information which leads to an improper customer service. 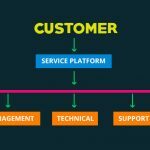 By integrating your CRM with multichannel support, you are assigning the right department to handle the respective ticket. 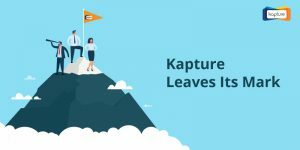 Kapture CRM can help your business grow in a seamless way across all platforms. Quintessentially quirky and insightful. sakshi loves the company of her kindle and two poodles.